With 8 kids (and counting) between the two of them, next door neighbors Stephanie Hollifield and Eliza Morrill know that mommin' ain't easy. Momstrosity was born from the knowledge that every mother loves her children, but that she also knows that they can be little jerks. Their blog, podcast, and YouTube channel hope to bring a little laughter and commiseration to all parents. Never miss an embarrassing story or parenting tip. Junk mail is the worst. We promise to never spam you. 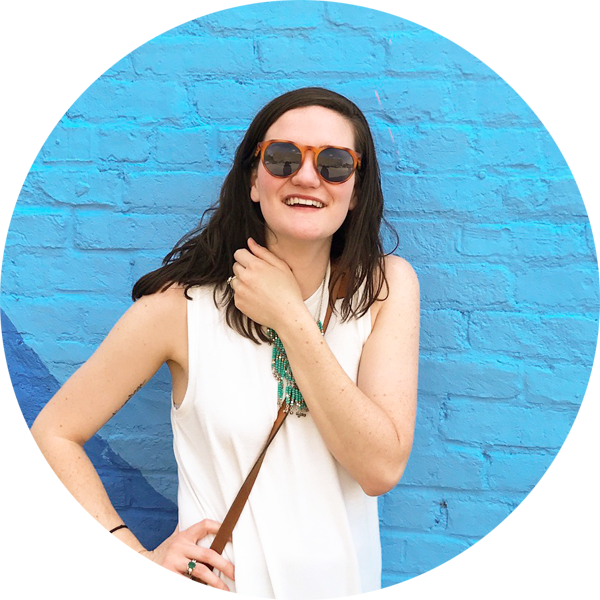 Eliza Morrill is a 28-year-old wedding photographer and taco connoisseur with a love of all things David Bowie. She is a mother to three children three and under - twin boys and a baby girl; human to a stubborn English bulldog; and wife to a professional arguer. She is notably bad at makeup but does rock a mean top knot, which her mother always refers to as her "mean librarian hairdo." She is notorious for mishearing song lyrics, pretending her mini van is a race car, and for tripping on things that do not exist. So really, you could call her a modern-day Audrey Hepburn. Except that you can't. She loves Jesus, but she drinks a little. “Y'all are hysterical. I peed laughing! In a good way, though. Is there a good way to pee laughing?" The voices of our time!